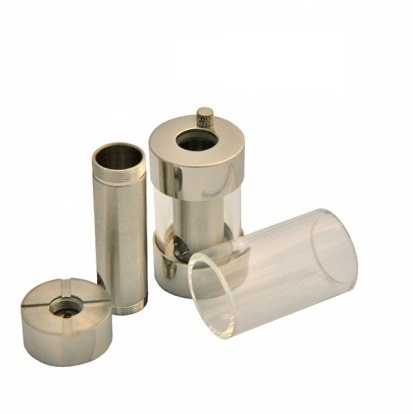 The AGR+ Pyrex Cartomizer Tank was designed specially for Boge and Boge XL Cartomizers. Other Boge Style Cartomizers can work. It comes with two pyrex tanks (For Regular and XL Cartomizers). Two Tiered Base holds cartomizer firmly and snug fitting Top Cap. The fill hole thumb screw is on the top cap making refills easy without removing the base or top cap. Cartomizer Size: 35mm or 45mm.